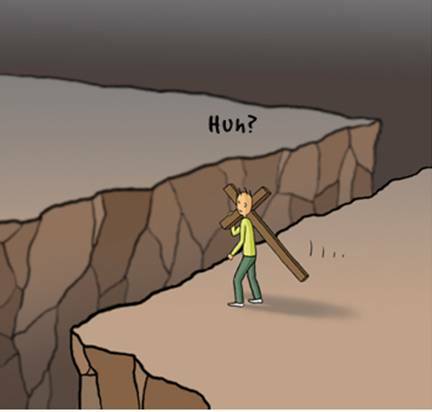 This was sent to me via email years ago. 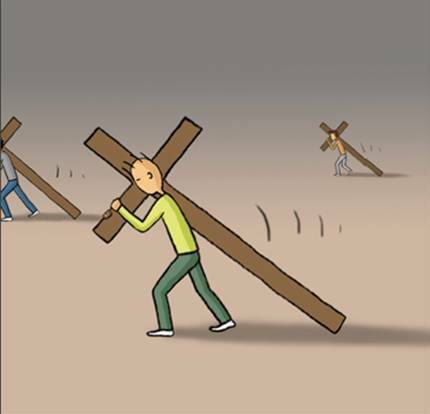 I do not know its originality. 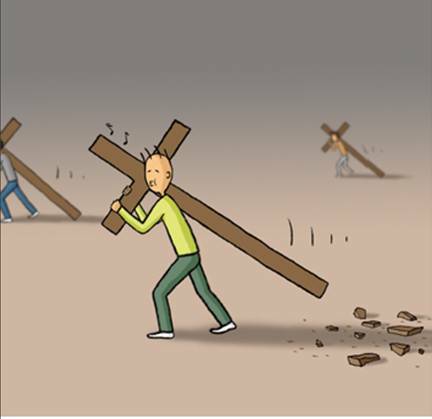 If anyone knows of its origin, please let me know so I can cite the author. 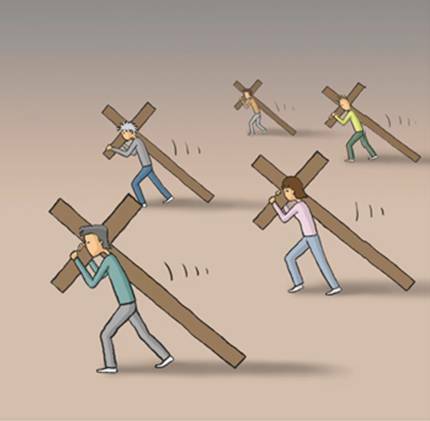 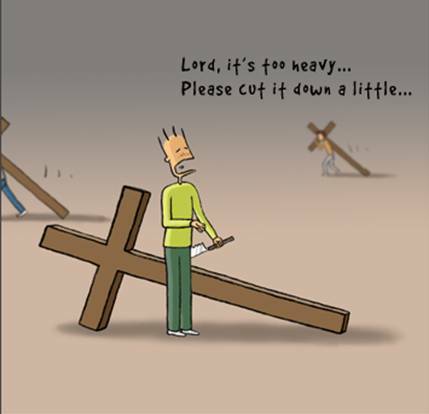 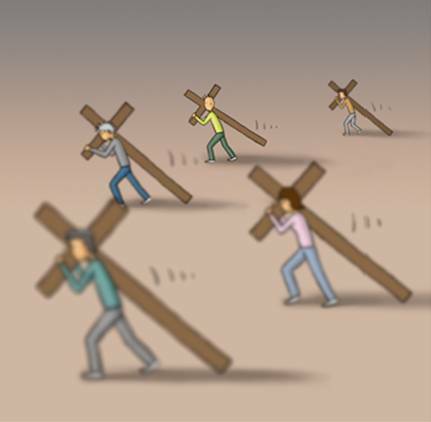 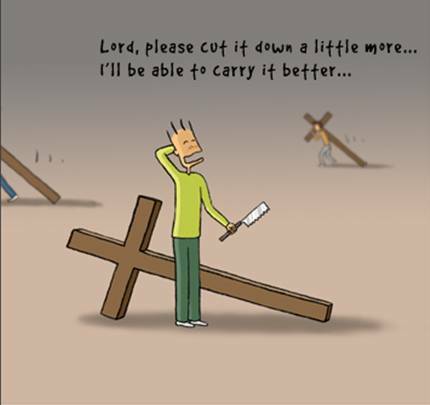 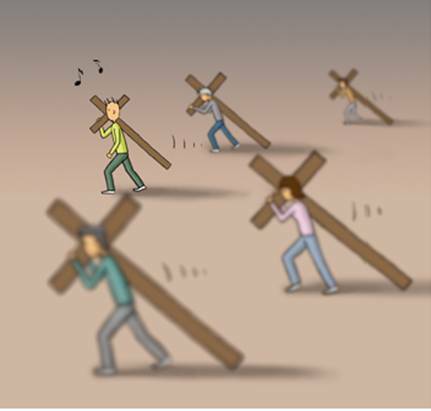 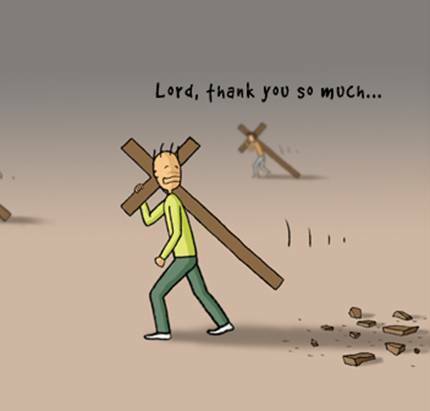 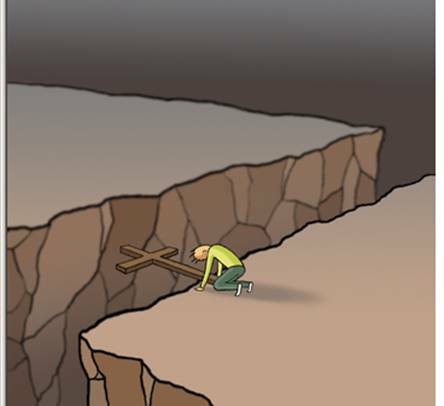 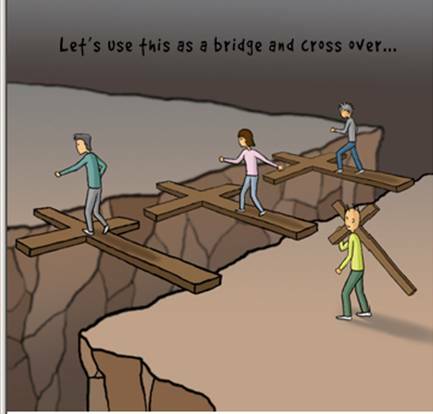 A great message showing the importance of us bearing our crosses in life.